After an unsuccessful attempt to persuade parliamentarians to vote for the draft Brexit deal agreed with Brussels, Theresa May again faced the threat of removal. This threat has been pursuing her from day one of her premiership and the fact that she is still in her post proves that this is no accident. It is not surprising that a majority of conservative MPs voting on December 12 backed May. May was a weak prime minister from the beginning, supported by only about a third of the public. The Conservatives had other, much more serious candidates, such as Boris Johnson. Unlike May, he passionately advocated for Brexit, but when, after the referendum, it had become a practical matter, he refused to vie for the premiership. Other names frequently cited in the discussion of candidates for the post of Cabinet leader included David Davis, Jeremy Hunt, Amber Rudd, Penny Mordaunt, Sajid Javid, Michael Gove, Dominic Raab, and Esther McVey. However, the main thing to know about the current political situation in Great Britain is that there is no struggle for the post of prime minister, as there are no people willing to assume it. A political career in the UK, especially among the Conservatives, is a long but fairly predictable process. Prospects for a political career can be seen many years before they are realized and few people are eager to rush things. The British political class is much narrower than it may seem, and this leaves an imprint on the principles of internal party competition, making it a fight for decisions rather than posts. Often, an influential position within the party has more weight than a ministerial post (Boris Johnson is a case in point) and sometimes even the post of prime minister. The head of the Cabinet in the UK has never been an independent figure due to dependence on party. 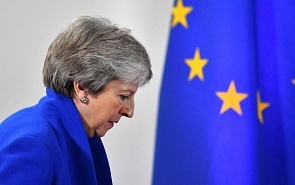 A vote of no confidence in the head of the government could take place if the opponents of Teresa May assume responsibility in such difficult circumstances and try a different way of exiting the EU. The defining issue of British politics is splitting society in two, but the fragmentation of the establishment, especially its conservative part, is much more complex and divergent. Virtually every aspect of the Brexit plan proposed by May has its detractors, and this makes coordinating it extremely problematic or even impossible. It is not surprising that the prime minister attempted to conceal from MPs her own government’s legal advice on the agreement, providing a brief overview instead, that is, a paraphrase of what she considered necessary to make public. To make it public, they had to − for the first time in the history of Great Britain − adopt a resolution declaring the government in contempt of parliament which could lead to the ministers (who are also deputies in Britain) not being admitted to parliamentary sessions. Only after that did May surrender. When the legal advice was published, it turned out to contradict many previous statements by Theresa May. You can understand where the prime minister was coming from – coordinating all the issues, not just in parliament, but even with her party colleagues, appears to be an impossible task. But the response to her actions was predictable. More than 100 members of the Conservative party indicated their willingness to vote against the May plan agreed with the EU. Some are not satisfied with its contents, while others are not satisfied with the idea of the impending Brexit. Not to mention the Labour MPs who oppose withdrawal from the EU, although agree publicly with the need to follow the popular vote. The Scottish National Party has positioned itself in opposition to Brexit and the Brexit project. The Democratic Unionist Party of Northern Ireland, which is an important partner of the Conservatives, oppose the deal in its current form as well. Party leader Arlene Foster bluntly announced her plans to block the deal with the EU. In other words, a positive outcome of the vote on the plan agreed with the EU is unlikely. The head of the Cabinet has already announced that she will continue the talks, but clearly there is no consensus among the parliamentary groups, the alternative plans have only been outlined and are not being developed, and the number of opponents of the UK leaving the EU is actually much larger than might appear from public statements. Not everyone is ready to openly defy public opinion, and there are many who will try to torpedo any plan, even if it’s much better than the current one. This is well understood in the May camp and in Brussels. As such, the Europeans don’t see why they should give in to the British, and any possible concessions will simply sink into the abyss of internal contradictions and Brexit sabotage. Therefore, even though the talks may continue, they will be a façade without any real promise. The Europeans have made it clear that Britain can change its mind before March 29 unilaterally and its decision will be accepted by European capitals. Despite the fact that the corresponding statement of the European Court looks like an expression of loyalty and understanding of the difficult situation in the UK, one can see it as a hard line that presupposes only two scenarios: Brexit on the previously agreed terms or remaining in the EU. The fact of the matter is that any of these scenarios will be fine by Brussels, but not acceptable to official London. In fact, the range of available scenarios is much wider than listed above. In addition to Brexit on the terms previously agreed in Brussels, or remaining in the EU, there are two options if the deal isn’t done. They also imply withdrawal from the EU or retaining membership with partial refusal to recognize the authority of European institutions over London. Legal instruments for depriving a country of EU membership against its will are not spelled out in the EU Treaty. The “no deal” option portends frightening social and economic consequences, but it should be remembered that the calculations of economic damage for the UK were most likely conducted in such a way as to prove the lack of alternative to the May project. Of course, supporters of keeping Britain part of the EU suggest another option, which is holding another referendum. While it is too early to talk about now, this scenario cannot be ruled out in the future. It is rather difficult to predict how events will unfold, but one thing is certain: under any of the above scenarios, the Brexit process (or revising relations as part of the union) is not nearing an end, but only just beginning. And the main battles still lie ahead.